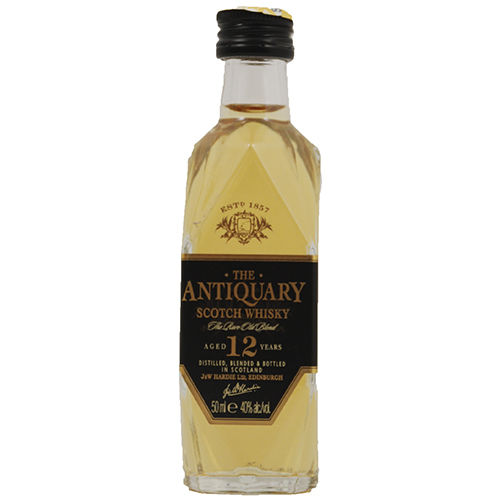 Crafted using Scotland’s most treasured malt and grain whiskies, all of which have been matured for over twelve years, The Antiquary 12 Year Old is light and delicate with a smooth, lingering finish. AROMA - Peaty, earthy and solid, while in direct contrast displaying delicate fresh lemony lime characters. Nicely rounded and malty. PALATE - Mellow yet feisty, predominately malty, citrus flavours come through well with a gentle peaty touch. FINISH - Soft with a spicy tingle.